I would never have thought you could do much with one deli chicken, but the mom in this video proved me wrong! These are all the ways you can use a single deli chicken (you know, the whole roasted chicken that you can buy already seasoned and cooked at most grocery stores) to save time and money. 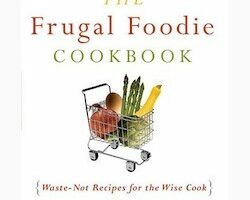 15 different frugal recipes that taste great! They were all created with the intention to save you money! Here are several interesting spice racks, plus some really clever ways to store your spices. I’ve found 7 good ways to keep chips fresher for longer. This will save you money too — because you won’t have to go out and buy a new bag of chips when the other half bag goes stale! A list of food scraps that cannot be put down the garbage disposal, plus tips for getting the most of that handy disposer in your kitchen sink. Here are some cool things you can do with a microwave that you might not have have heard before. Are Color-Coded Bread Tabs The Best Way To Tell If Bread Is Fresh Or Not? Do you squeeze bread on the store shelves in order to determine its freshness? Well, you don’t really have to do that anymore for 3 reasons — listed here. 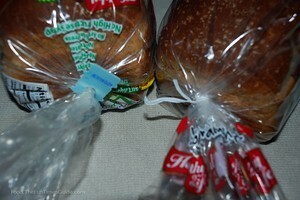 Plus, the facts behind those color-coded bread tags. There are a number of take-and-bake options available these days. Each provides fast, healthy, meals to go. We will explore 5 of these meal delivery systems in depth, and mention a number of others worth considering. Each offers prepared meals — whether you’re just too busy to cook meals yourself or you’re seeking a weightloss alternative. Do You Really Have To Wash All Fruits & Vegetables First? What’s The Best Way To Wash Produce? Do you really need to wash fruits and vegetables before you eat them? If so, what is the BEST method of washing produce? What about those commercial vegetable washes and produce washers you can buy… are they worth it? Here’s what you need to know about washing produce — what works and what doesn’t. I like to get creative with recipes and ham is such a great meat, you can add it to just about anything and have it taste good. Here are some fun things you can do with leftover ham, including lots of great and tasty ham recipes. Here are some ways to use leftover turkey in creative, fun, and appetizing ways… Lots of turkey recipes that will put your leftover holiday turkey to good use! 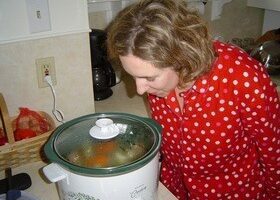 Crock Pot vs Oven: Does Crockpot Cooking Save You Money? The answer is more complicated than you might think. It depends on where you live, and the kind of power you use for your home, believe it or not. For example, if you use gas to cook with, then cooking with a crockpot may not make much of a difference, since in many cases gas is quite inexpensive. Here are some fun ways to flavor plain popcorn and keep it healthy, plus lots of flavored popcorn recipes that are also healthy. 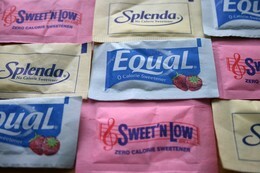 The latest new artificial sweetener goes by the name of Splenda. According to all the hype, it is made from sugar and because of that it is safer. But is it? The following information will make you think twice about using Splenda and other artificial sweeteners! 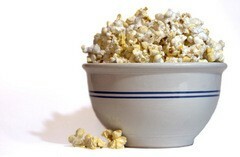 Believe it or not, popcorn is one of the healthiest foods available to us. 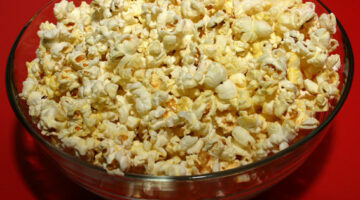 Following are just a few of the nutritional benefits you’ll get from eating popcorn. If you think you have food poisoning, here are some things you can do to get better faster, including what to look for in terms of food poisoning symptoms. Taco salad can be one of the most unhealthy dishes around when it comes to the fat content alone. But once I applied the following tips to my own taco salad recipe, I not only felt better, but when applying the same principles to other recipes I also began to lose weight — a real plus for me! 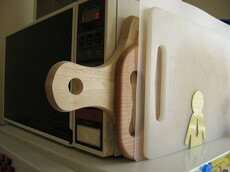 How to make an informed choice when choosing a kitchen cutting board. Here are the pro’s and con’s of using plastic cutting boards, wood cutting boards, Corian cutting boards, and glass cutting boards.